We are thrilled to have CeCelia Wickham Anderson of vocal super group Black Voices delivering a workshop for us as part of Black History Month. The workshop on October 13th (11am-3pm) is open to the public. For more details and to sign up (non choir members are welcome) click here. CeCelia Wickman Anderson is one fifth of a cappella group Black Voices. They will open the London a cappella festival 2019 with Laura Mvula and are without doubt one of the UK’s top vocal groups, having toured internationally and worked with some of the greats of gospel and a cappella. The workshop will cover gospel and African songs taught in harmony. No previous experience is necessary. 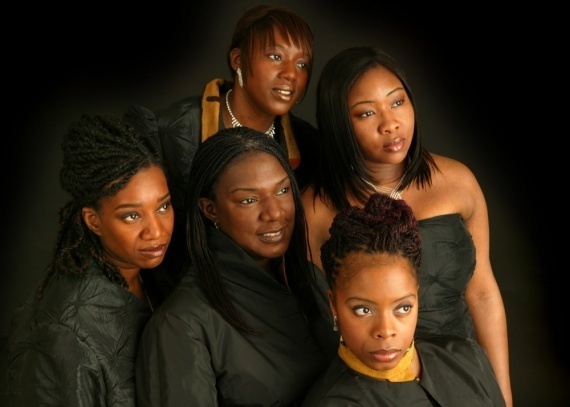 In 2000 she joined Europes finest female a cappella quintet, Black Voices who have been honoured to perform by invitation before members of the British Royal Family both in the UK and overseas. They also performed at an open air concert for Pope John Paul 11 in Loreto, Italy and appeared before former President Nelson Mandela at the Two Nations Concert, Royal Albert Hall. Traveling the world with their distinctive sound, and stunning stage presence, they have also appeared with music industry giants including Nina Simone, Miriam Makeba, Ray Charles, Hugh Masekela, and Take 6. – the first winners of the competition Sing Ultimate a Cappella. CeCelia Is the Choir Director for Chelmsford Community Gospel Choir (celebrating 10 years this year) and Harrow Community Gospel Choir, now in its 6th year.